Welcome to a special combination of creative photographic skills and expert digital imaging. We utilize only the best tools available, from shoot to production to final print. Together with the graphic and technical design services provided by our sister company, In Color, we can provide one-stop shopping for all your visual communication needs. 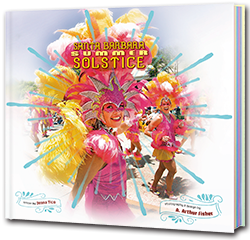 Santa Barbara Summer Solstice is a 220 page, foil-embossed, 12 x 12 hardbound, coffee table book about the annual celebration and parade by the same name. Text by Jenna Tico, this colorful book spans 13 years of Summer Solstice photography by A. Arthur Fisher. 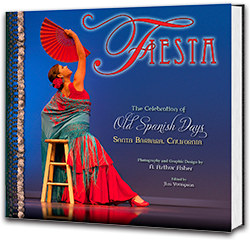 Fiesta, The Celebration of Old Spanish Days is a 220 page, foil-embossed, 12 x 12 hardbound, coffee table book about the historic, annual celebration of the same name. Edited by Jim Youngson, this colorful book spans 12 years of Fiesta photography by A. Arthur Fisher. As the house photographer for The Arlington Theatre, Mr. Fisher is responsible for the creation and regular update of their website. His photos are a key part of this historic venue. See: Concerts. Check out our library of stock images for the theatre here.